Emily Olive Cummings was born on 26 October 1890 in Port Augusta West, South Australia , daughter of Joseph Benjamin Cummings and Emily Honorah Harris. 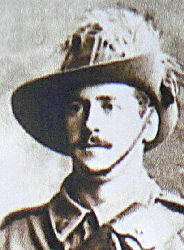 Allan Guy Monfrey Cummings was born on 1 June 1892 in Pine Hut, South Australia , son of Joseph Benjamin Cummings and Emily Honorah Harris. 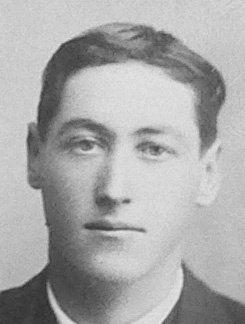 Roy Leo Cummings was born on 23 June 1894 in Caroona Station, South Australia , son of Joseph Benjamin Cummings and Emily Honorah Harris. Elizabeth Mary Lowe was born about 1839. Susan Eliza Hall was born on 12 June 1880 in Nailsworth, South Australia , daughter of Benjamin Hall and Ann Scott. About 1900, Susan, married Joseph Benjamin Cummings, son of Joseph Francis Cummings and Annie Morris Oakley. 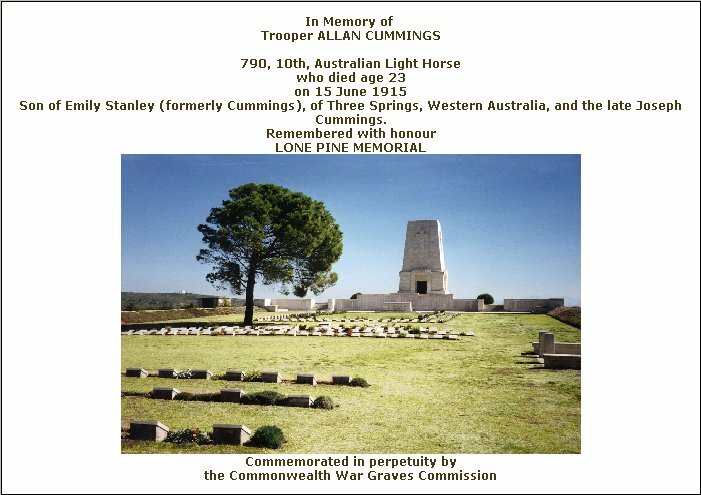 Susan was buried on 25 July 1965 in the Centennial Park Cemetery, Pasadena, South Australia .